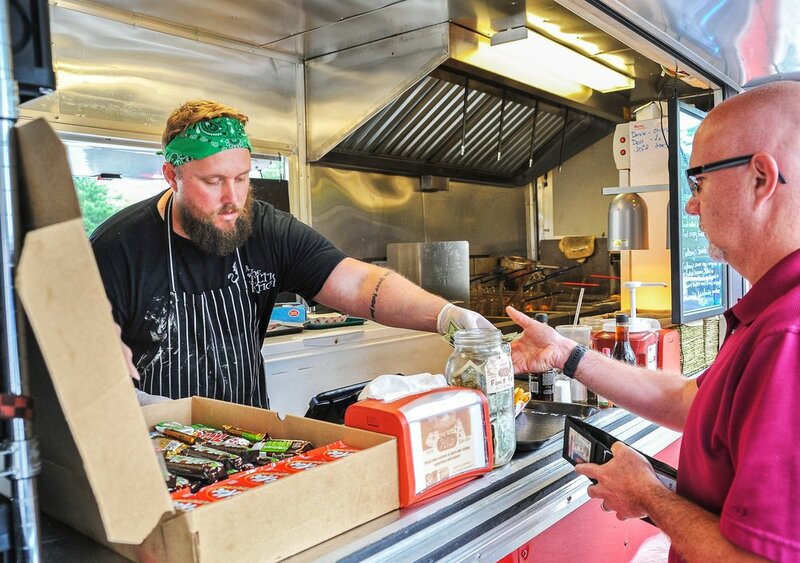 The Celtic Knot Foodtruck continues the McAndrew family tradition of bringing you the finest authentic and original pub and street foods of Scotland, Ireland and England. Many of our recipes have been used by the McAndrew family and have been enjoyed by the Celtic community of New Jersey and the surrounding tri-state area for over 30 years. It's with that same pride, quality and dedication to presenting and preserving our heritage that the McAndrew family invites you to experience our food. Because it's just that; an experience. At the end of the day we do more than just make THE best Fish and Chips, we make memories. Whether it's making new memories with new friends, or putting life to an old memory long forgotten our food is meant to invoke a meaningful connection to home. A single order of battered Cod fillet over chips, includes tartar sauce and cole slaw. Extra Tarter Sauce is available for .75 ea. A double order of battered Cod fillets over chips, includes tartar sauce and cole slaw. A half portion of the regular Fish and Chip Dinner. A single order of battered Chicken over chips. A double order of battered Chicken over chips, includes tartar sauce and cole slaw. A half portion of the regular Chicken and Chip Dinner. Bite sized balls of creamy, seasoned mashed potatoes blended with sharp cheddar, garlic and onion. Hand rolled, batter dipped and deep fried. A large crispy egg roll filled with thinly sliced lean corned beef, Swiss cheese and sauerkraut, served with side Russian dressing. Let us bring the taste of Britain's best to your next festival, fundraiser or community event! We base our pricing on projected attendance provided by you; our valued customer. We realize; especially with events that gather their numbers through advanced ticket sales, that these numbers can sometimes be fluid. We pride ourselves in our customer service and being able to work one on one with you to agree on an attendance number that suits your needs, with the ability to add extra meals if need be. Your experience and satisfaction are important to us, and we will never try to upsell you on services if they don't fit your needs. *prices reflect full service portions meaning full dinners. Please call or email for festival and "drop and go" catering pricing"
The piece of mind that comes with hosting an event and hiring a professional, clean and courteous family business. A non-refundable deposit equaling half of the contracted amount will be necessary to reserve our services and is due upon contract signing. The remaining balance will be due in full on the day of your event, unless otherwise agreed upon in your contract. Having a party, fundraiser or you're a craft brewery interested in having us as a featured food truck? The first step is reaching out and saying hello! Please be as specific as possible: Dates, times, location and menu preferences. Catering quotes are non binding and depend of the size of the party. 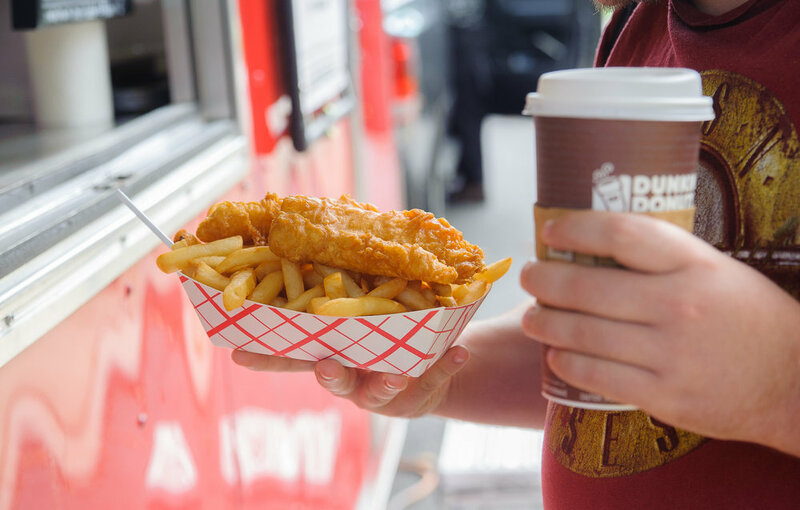 Are you looking to have your event catered on-site with our food truck? or are you looking at our "drop and go"menu and services?